It’s the second to the last month of the year. This does not only mean that the year is almost ending, it is also about the final stretches we are about to take to prepare for the next. 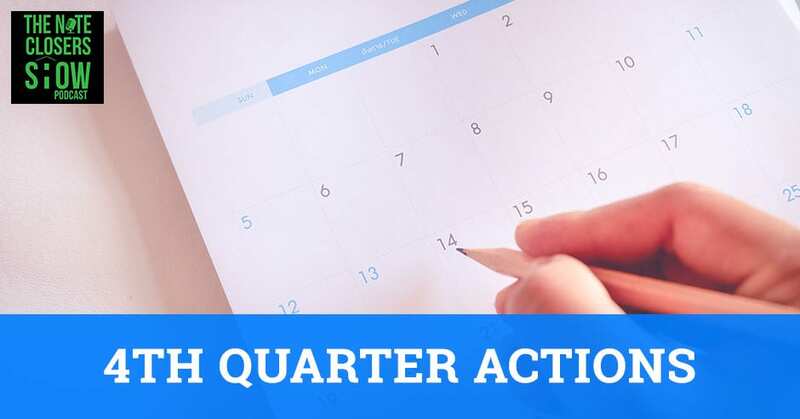 Scott breaks down some of the things that you should be doing in the fourth quarter of the year to help you capitalize on the New Year. Learn as you equip yourself the knowledge of reaching out to investors, creating your own identity, and avoiding joker brokers. Finishing strong is what we would like to do when it comes to actualizing both the goals we have set up from the start of the year and on to the next one. Our topic is all about finishing strong and it comes in line with a little of the World Series in baseball. In finishing strong, you can definitely take a look at the World Series, the Major League Baseball playoffs and drive a lot of analogies from that. We look back at where 2018 is coming to a close. We’re in the fourth quarter. You realize you’ve got Thanksgiving, which is a dead week and then you have the last weekend of your Christmas, which is a dead week as well too. If you take those two weeks away, you have a few weeks left in the year. I got an email from an investor. It’s one of the worst emails I have seen reaching out for assets. It’s just not personable at all. It’s like, “Send me your deals.” That’s all it said. “I got $300,000, send me your deals next.” That’s not an effective marketing piece and I know it wasn’t directed at me because it just says, “Hello.” It’s a mail merge to asset managers or note investors and things like that and it was not personalized at all. The guy didn’t take any time at all to update his email or personalize and do mail merge or any at all. It’s very plain and it doesn’t standout. One of the things that I thought we could discuss is what you should be doing here in the last two months of the year, the last seven weeks of 2018 to bring home the bacon. To make sure that if you’re looking to close your first deal of 2018, you get it done or at least you get on top of some things out there. Here’s the first thing that I will be doing. What I’m trying to get at is you need to be reaching out to as many note investors or as many asset managers as possible. One of the big things that we do on November 30th through December 2nd is our last Virtual Note Buying Workshop of the year. Pulling asset managers whether you’re jumping on Lane Guide, jumping on DistressedPro or jumping on the Texas Mortgage Bankers website or mortgage and savings lending websites and downloading those lists. You have pulled that list and you start targeting those asset managers. You need to be sending emails out to them. I almost up it to once every two weeks now. Instead of once a month, increase it to once every two weeks, “What do you have in your books?” I’ll also be leveraging that list. That’s the first thing. When you send an email out, following up with those that opened the email as well. Send it to those that opened the email with another personalized email if you can or also set up a second email for those who didn’t open the first round. You send it in the mornings and send it in the afternoon. You send that in the afternoons and send it in the morning and rotating. You can do that through Infusionsoft or MailChimp. It’s one of the most valuable things that you can do with your asset manager list. Otherwise, if you’ve pulled those asset managers and you’re not marketing on a regular basis, you’re just wasting space. You’re just paying for a storage on your CRM with the asset manager list. Number one, emailing asset managers. What you want to do with these is on your email that you sent out, you want to try to personalize it as best as well. One of the great things that help your open rates is you put the person’s first name in the actual subject line like, “Jim, anything nasty in your books? If you’ve got anything, I want to hear on it? I’m looking for this, let me help you.” Something as simple like that on the subject line that’s going to help them be drawn to it a little bit. You only want to have a few photos on your email if you’re using a CRM like MailChimp or Infusionsoft. It’s important to put your mug on it. Put your smiling face on it, your professional face on the side or somewhere where they can start identifying you. That’s an important thing. You probably want to have a link to your LinkedIn profile. That’s an important thing because then you can go and see that’s somebody from a banking institution that clicked on your profile or so and so checked out your profile if you have a paid version of LinkedIn. Emailing asset managers is one of the most valuable things. I see people all the time, especially in our WCN Crew Facebook group, people are talking about joker brokers. There’s one guy sending some list around asking for proof of funds, letter of intent. He’s asking twelve different people and people are like, “This is stupid. I’m not going to send you a proof of funds letter to a list I have no idea what you’re selling.” Bankers don’t do that. Asset managers and banks don’t do that. They may require proof of funds when you submit a contract but until you have a contract, they’re not going to ask for proof of funds. They don’t do that. The second thing that I would be doing is jumping on LinkedIn. Connecting with asset managers on LinkedIn. That means going through and connecting with them but then also sending as you hit connect, copy-pasting a short little message, “I want to see if you had anything in your books at this time of year that you want to get rid of. I’m looking to see if you’ve got anything that I need to hear on it. I’m buying for my own portfolio, what do you have available that you might be looking to move?” It’s a very effective thing. That specific thing, you can do it any time of the day, whether it’s your lunch break, at night, or if you’re sitting there at the house. If you’re on your phone, you can do this directly from your smartphone. It’s very easy enough to do and it’s an effective thing to do as well. I’ve gotten ahold of many asset managers that way and connected with them by communicating. I connected with somebody from New York, we exchanged a message or two on LinkedIn. They called me directly and I had a great conversation with them. That’s the second thing you do, reach out. The first one, email asset managers and follow up with them. Two, connect with asset managers via LinkedIn. 4th Quarter: Emailing asset managers is one of the most valuable things you can do to grow. The third thing that you could be doing as well is it might be a little bit different out there, but I would also jump on LinkedIn asset manager groups. I would go onto LinkedIn, look at groups where there are distressed mortgage investors, there are distressed asset managers. There are some pretty good-sized groups out there that have quite a few people. I would be reaching out to those individuals. You can connect to those groups. Those are easy to connect with because you know you’re in common with the group and see if they have anything in their books. They’re looking to get rid of. You don’t want to deal with joker brokers. Connect with asset managers on LinkedIn is an easy thing to do. 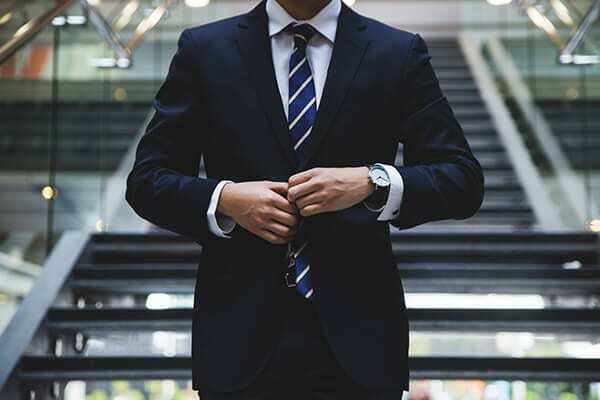 If you’re a part of any asset manager groups or you’re connected with them there as well, you’ve got something common, “We’re both a part of this group. I want to touch base with you and see if you have anything on your books.” It’s very simple everybody, it’s very simple out there. Connecting to asset managers and then looking through the comments section. Looking down to see who’s commented on things. 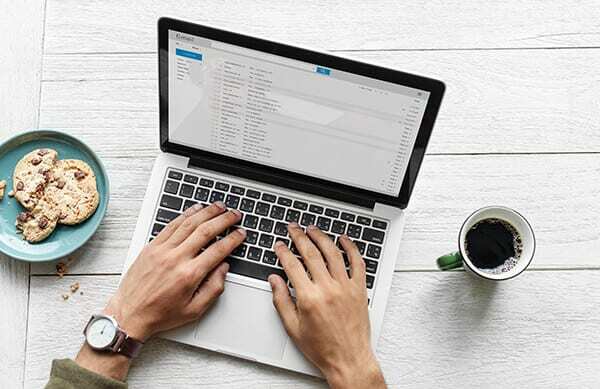 In some cases, this is a great way to build your email database too because you’ll see somebody, especially maybe it’s an asset manager or another real estate or note investor like us. People say, “I have a portfolio of assets available” and you’ll see a bunch of people go on there and they say, “Here’s my email. Email to me.” I just copy paste those things. You’ve got your first name, last name and email address, I’m going to connect with you too. That adds to your email database. Another thing that you should be doing as well besides tripping on LinkedIn asset management group for those who have some experience, you would be getting ready to talk about your year-end review for 2018. This is a valuable aspect of it to talk about the deals that you’ve closed this year, the workouts you’ve done, how many assets you bought, how much in funding did you do this year. Everybody loves to talk about this, “So and so closed on another $250,000 or another $5 million in loans.” You see that happen a lot with private money investors. You see that happen with the hard money investors. My friend, Kristin Gerst, who runs Capricorn Mortgage Investment, she talks about her goal to close on $33 million in notes for 2017 to 2018. Have a number to help you grow on that aspect of things. Her numbers are probably a little bit different because she’s getting paid off the performing side of things. She’s looking at buying performing, so she figures out a percentage of what she’s making. What you have to do is figure out, “I’m going to make at least this percentage mark or percentage point roughly per deal. I can set me a number goal for 2019,” but talk about what you closed this year. When you send out your email, “I just want to follow up with you. This year-end we’ve had a very successful 2018. 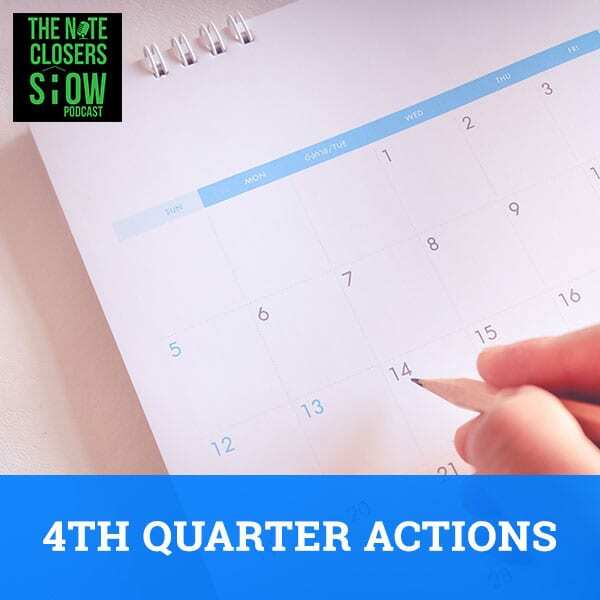 We’ve closed on these many assets or this much in distressed debt or this much in private funding for our deals.” Those are great action item emails that show that you’re taking action that can separate yourself from the crowd. You may even want to create a press release that you could pay $500 on EReleases.com and write up a press release about your business for the year. You get that out amongst other things and get those out in financial, in business, and things like that to get the word out of what you’re doing. Use that, “We were just mentioned in the news.” You wrote it up and it got released but press release companies or NPR or all these other periodicals are looking for articles to fill in on a daily basis. You have an opportunity to get your name out in front of several hundred or several thousand other entrepreneurs, business owners, investors or readers of those periodicals. You may want to keep that as an ace in the hole and strive as you hit some goals to talk about your year-end review. It may be a little bit early. We’ve had a good year so far, share that, “I just want to reach out to see what you’ve got in your books available this year. We closed on over $10 million of distressed notes this year for our own portfolio,” something simple. “We’ve got another $5 million to fund before the end of the year is out.” Those are the other big things that I would also talk about. “We’ve done this so far. We’ve closed this so far. 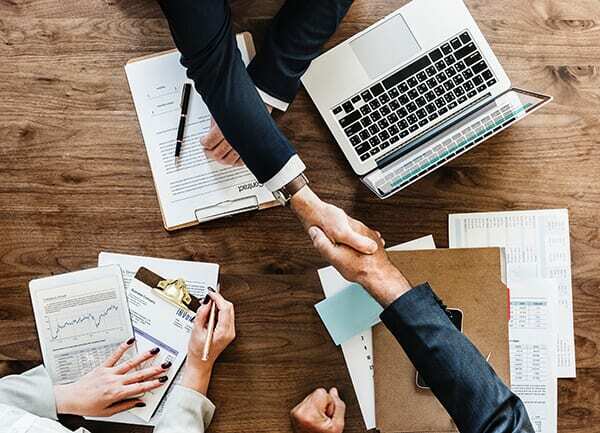 Here’s what we’re looking to do before the year’s out.” The fact that you’re closing deals separates you from those that haven’t closed on deals. There’s no offense to anybody looking to close their first deal. Don’t flip out like, “I haven’t closed any deals.” Talk about your experience, talk about other things you’re doing. It doesn’t have to be note investing. Maybe I bought twenty fix and flips or I bought twenty short sales or I’ve done a variety of other things. Use that strength to help you identify opportunities or help you separate yourself. The fact that you’re pulling the trigger on deals, first and foremost, that separates you from anybody else that is not pulling the trigger. Cover your first note deal, your first real estate deal, whatever it is. If you’ve done some other things, you bought a house before, bought a rental or did some wholesaling, talk about what you’ve closed on and you’ll be a lot happier. You’ll see a little bit more action on there. One big thing about your marketing, look at it before you send it out. Have somebody take a look at it. If it looks like crap, it’s probably going to do crappy. If it looks pretty good, it looks professional, great. Just look at it. I guarantee you, everybody is getting bombarded this time of year from other entities, other institutions looking for you to fund stuff before the year is out. That might be a great email to send out to your database too. Put your IRA to work before the year is out. That’s one of the great things you could do. I guarantee that it will be helpful for people. You’ve got some money sitting and burning a hole. Most people want to take action. December, January, February and March are the times a lot of people are looking to make changes. They’re looking to update their insurance or looking to review their portfolios, their year-end stuff. Now’s the opportunity for you to put your IRA to work. Now is the opportunity for you to get rock and rolling in your IRAs. Let me help you take that certificate of disappointment and make it a certificate of satisfaction. 4th Quarter: The fact that you’re closing deals separates you from those that haven’t closed on deals. Those are little things that are in people’s mind. That’s why you always see the gym is always occupied come January 1st. People have given up right now because they all wait until January 1st. I see that everywhere. I see that in my gym. I see that here going in there’s only one or two other people there in the gym on a regular basis than me because everybody else has flaked off. They’ve given up. They’ve decided they’re going to have a muffin top this year for Christmas. I can layer up. It’s getting cold. I can put several layers of clothes on. You’re not going to see what I’m trying to help you guys avoid out there. Another thing too with the market being where it’s at is you have to stick to your guns. Stick to your guns on the pricing expectations, on what your ROIs need to be. Don’t be overpaying for stuff because there are some joker brokers out there peddling stuff that doesn’t make sense. They’re trying to sell stuff that doesn’t make sense out there and they’re overpriced. They’re not in the business. Here’s my big thing for you, avoid the joker brokers. They’re pretty easy to tell. They’re asking for LOI and proof of funds. They’re peddling lists that I guarantee have been out for a while. You see them before. Go ahead and block them from your email. Go ahead and unsubscribe from their lists. They’re not going to have anything that makes sense to you in the long run. They’re not going to do it. They’re not going to have anything that makes sense for you at all. Avoid them. Don’t waste your time with their lists. I wish I could rattle off a list here, but it would not be a good thing to do. You need to keep that private. You’ve got a recycled list that you know has been around for a while. It’s easy to see if a spreadsheet has been recycled, go to hit to save it. Look over at the right-hand side before you save it where it’s all the points of it. You can see when it was created, who created it, who saw it before that. If you see a spreadsheet’s been created longer than six months, it’s old. If it’s longer than 90 days, because I’ll get somebody in 90 days in a spreadsheet, that makes sense. Downloading it if you’re trying to sell stuff off, that makes sense. I can understand that. I’m not going to get too hard on somebody who’s going to list to 90 days or older or less, but when you start seeing stuff that was a year old, I’ve seen my own stuff come back to me multiple times. Laura Blunk mentioned this. She bought some assets and she got the list back with some more on there. It’s a funny thing after that happens and it’s not funny because you wasted your time. This is why it’s important to take your lists and save them on your desktop somewhere. If you have seen an address that sounds familiar and looks familiar, you’re not wasting your time and going in there and having redo due diligence on a list that you’ve already seen and carved out. That’s an important feature that I can tell you. Avoid the joker brokers. If you don’t know somebody, if you get a solicited email from somebody out of the blue, just look at their stuff. Most of their stuff doesn’t look professional because they don’t take the time. Joker brokers aren’t going to take the time to build a good business because they aren’t. They would rather be a broker. They’re not really investors. They’re re-shoveling crap for the most part. The best deals that you’re going to get between now and the end of the year is going to be direct from the banks, direct from the asset managers themselves. Do yourself a favor, pull your list and send an email out. Send it frequently, once a week or once every two weeks. You’ve got to realize there are a few weeks left in the year for you to do something. If you do something, great. If you don’t do something to the end of the year, you’re only shooting yourself in the foot. Start planning. Don’t wait until the beginning of the year to do something. Take action now because that’s where they come the first of the year. You’re rock and rolling and you’ve got some assets that you’re working for you that can help you move some things. The first week of January is pretty much a dead week as well. People are on vacation, people are recovering. They’re doing year-end reports. Then at that point, you’re not doing anything until the 14th or 15th of January. Keep that in mind. Most of the joker brokers can’t even spell. My ten-year-old writes better emails than most joker brokers. That’s a sure sign they’re a joker broker. You got somebody on LinkedIn who has pulled the LinkedIn list, exported it, and is trying to recycle crap out there. They’re not taking any time. That’s the thing to keep in mind. I understand people have a few spelling errors. I even have a few spelling errors on my stuff, but at least my stuff looks nice. At least my images take some time to work through, to send out and market to on a regular basis. We are 5/6 of the way done through 2018. Where has the year gone? The year’s absolutely flown by. The older we get, the faster it flies or it gives them more things that we’re working through. It goes by a lot faster and we have to be a lot more focused on what we were doing. Otherwise, things are going to eat up our time as we drift and don’t focus on things out there. The best thing is to follow up. You make it a habit and work through your email blast now. If you never sent an email out to your database, now’s the time to be doing it. I’m sure this time of the year, especially in Thanksgiving and Christmas, we all get those letters from our family members about everything else that’s going on in their lives, the year-end review. Take the opportunity to wow. Take the opportunity to send an email out to your database. That way, Thanksgiving time or Christmas time, you’re the talk of the table, “Tell me more about what you’re doing. Tell me more about this note thing that you’re doing.” The little things you can do to set yourself apart. Those are not difficult emails to write, “Here’s what we focused on this year. Here’s where we’ve come this year. Here’s what we’re looking to do before the year is out.” Those are not difficult things to do. You have to take the action to do them. If you don’t take the action, you don’t take the power in. You let it slide and fade away. 4th Quarter: Nobody’s going to help you get where you need to be until you take action and take responsibility for where you’re at in your life. Nobody’s going to take ownership of that. Nobody’s going to help you get where you need to be until you take action and you take responsibility for where you’re at in your life and your businesses and strive to make it a priority to market. That’s what it comes down to more than anything else. Finding deals and finding funding is all about marketing. It’s all about the Benjamins, it’s all about the email blast, and it’s all about the marketing aspect of things. If you’re not marketing, you’re not in business. What our plan here is we’ve got an email blast that goes out Tuesday. We have another follow-up email that’s going to go up next Tuesday. We’ll follow-up when it goes out Thursday for those who didn’t open the one on Tuesday. Next Tuesday, I have another email that goes out to those that opened the emails. Then we also have another follow-up email one last time that goes to those who didn’t open it. Usually, I get about 10% to 12% open rate in the first round, a 6% to 8% open rate to those who didn’t open it the first time around the second time I sent them. I’ll get somewhere around 2% to 4% to 6% response rate on the third time I email those that didn’t open it. I’m hitting people three times and they didn’t open it. I’m not sending the same email for those who opened it. I send to those so that I can hopefully hit them in the head. I’ll see about a 25% maybe 30% open rate total with those people added into my list and refresh everything. If anything, this is the time of the year when everybody’s basically looking at their books and look and see how they can clean up. Most of the asset managers are bonus off their portfolio at year-end. They’re looking to make some deals and that’s why we hit them so hard over the next seven weeks. We’ll do that in the next two weeks just for the first round and then follow up every two weeks with those that have opened the email, “What do you have in your books? Is there anything you’re looking to get rid of?” The same thing, the first round of December we’ll send another email list to those that didn’t open the email, hitting them hard one more time. We have a question, “When is the next Note CAMP after November 1?” We have Note CAMP 6.0 taking place. It’s going to be November 15th through the 18th. It’s online. You can go buy tickets by going to NoteCamp.live. We’ve got a great lineup of speakers this time around. Probably the best connection of educators, professionals in the industry coming together for the three and a half days. Tickets starts at $299 or $399. They do go up here in a couple of weeks. Take advantage and get your discount tickets now before it ends. Our next Note CAMP won’t be until April of next year. We only do Note CAMP twice a year. Our Virtual Note Buying for Dummies Workshop is November 30th through December 2nd. That’s our nuts and bolts on non-performing notes. Then our next live workshop is not scheduled until end of January or February. I don’t know the exact dates on that yet. Still ironing that stuff out. One of the most important things I can tell you is to take action. If you’re trying to do something first, start taking action now. If you’re wanting to get in better shape, take action now. It will get you a two-month head start on things. If you’re wanting to start a podcast, get out and film some episodes. Record some episodes and get them launched by the first year. There’s no greater feeling than being able to say first of the year, if you’re doing a podcast or you’re making offers or you’re going to be an investor to do something and take action now. Start on your goals now. Don’t wait. Quit waiting until it will be the first year. Quit waiting, quit pushing and postponing success when you can start having action now. You have the power of Grayskull to take action. We all are our own He-Mans and She-Mans. We’re all our own masters of the universe. You have the opportunity to do some amazing things between now and the end of the year. Why not take advantage of it? Most people are slacking off. This is the time to punch it into overdrive. This is the time to go full court press on your note and real estate business. A lot of people are flaking off because of Halloween parties, Thanksgiving, Christmas parties and Kwanzaa. Those are the things that people are focused on. You have the opportunity to take advantage of when other people are slacking off. That’s the time to attack. That’s the time to make a name for yourself and make some things happen. I hope that you guys do something. I hope you take heed with what we’ve been sharing with you and make the next weeks your most productive weeks of 2018. If you have set goals at the beginning of the year and you haven’t hit them, that’s okay. Everybody does that but you have an opportunity to keep striving, keep pushing forward and keep taking action. I guarantee sometimes we show up to have things happen. If you show up and keep yourself in the game, amazing things will happen. It is what it is. You control your success, I don’t. Nobody else controls the type of actions that you do on a daily basis. Only you do, and you are ultimately responsible for the success or lack of success that you’re having based on your actions. If you’ve sloughed off and had been lazy, that’s fine. It is what it is. You can’t go back and fix it. What you can do is start taking action now and make 2018 yours before it ends and pushing that momentum into 2019. That’s all I’ve got for you in this episode. Go make something happen. Go out, use the four things that I’ve told you to do. It’s not difficult to do. It doesn’t cost hardly any money. If any money, it’s your CRM tools that you’re going to pay for a premium. You can probably find a discount code online. Do it. Use it. You won’t be disappointed. Go out, take action, get some deals closed and I will see you at the top.